Experience North East with Tawang is a tour planned to let you explore the first place in India that greets the morning sun. During the tour also explore Assam, the gateway to the North East. Dominated by the mighty Brahmaputra River, Assam is famed for its tea, rich flora and fauna, world famous one horned rhinoceros and other rare species of wildlife on the verge of extinction. While being in Arunachal Pradesh enjoy exploring the nature, wildlife, adventure and religion in its serene atmosphere. Also visit one of the most renowned Buddhist Monasteries in North East, Tawang Monastery in Arunachal Pradesh with this summer tour package. 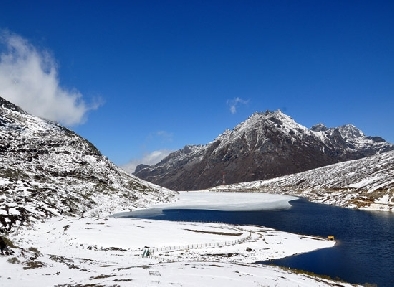 Enjoy a visit to Sela Lake, Sela Pass and Jaswantgarh. Explore Tawang Monastery, Bum La Pass and War Memorial. In the morning after reaching Kolkata, meet our representative at the airport. The representative would arrange a transfer to the hotel. Rest and relax for the day, after check-in at the hotel. In the afternoon enjoy a tour to Kolkata. The major tourist attraction to visit includes the Victoria Marble Palace, Science City, Metro Rail, Memorial Hall and Belur Math. Later in the evening take a leisurely walk to the markets of Kolkata. On return to the hotel to enjoy your dinner and overnight stay. Next morning after breakfast, enjoy an excursion to the other major tourist attractions of Kolkata. The attractions scheduled for the day include Mother Teresa Home, China Town, Rabindra Setu, Birla Planetarium and Victoria Memorial. Later in the day drive past the Fort Williams, the Howrah Bridge, the Secretariat Building and the Old Court House Street. In the evening return to the hotel for dinner and overnight stay. On the following morning after breakfast, transfer to airport to connect flight for Guwahati. Upon arrival in Guwahati, check-in to one of our listed hotels. After resting for a while move out to visit Sualkuchi Village situated 32 kms away from Guwahati. The village is famous for its Golden Muga Silk. Assam is famous for producing three unique varieties of silks, the Golden Muga, the White Pat and the warm Eri. Silk is grown all over the state finally finds its way to Sualkuchi. After visiting Sualkuchi Village, set off to enjoy a sightseeing tour of Guwahati. 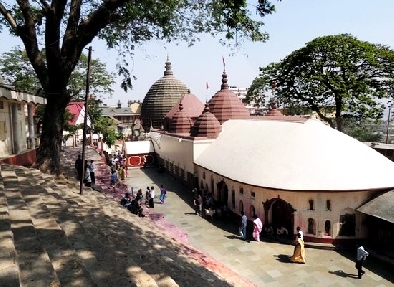 The major tourist attractions to visit in Guwahati include Kamakhya temple, Assam State Museum and Umananda Temple. In the evening return to the hotel for dinner and overnight stay. Next morning after breakfast depart to Balukpong via Tezpur by surface. It will take approximately 5 hours to reach Balukpong. On reaching, check-in at one of our listed hotels. After resting for a while in the cozy surroundings of the hotel move out to explore the place for its natural beauty. 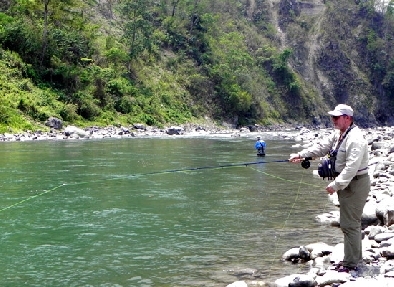 Enjoy Angling as the place is visited by many fishing enthusiasts. Camping and hiking are the other popular options among the things to do in Bhalukpong. Retire for the night in the hotel. On the following day drive towards Dirang by road. Stop midway to visit the Tipi Orchid Sanctuary. Later resume the drive to Dirang an ideal place for hiking and trekking. On reaching Dirang, get accommodated at one of our listed hotels. After taking some rest, explore the place that is famous for its sub-divisional natural hot springs. Later in the day visit the Buddhist Kalachakra Gompa for its magnificent architecture. In the evening return to the hotel for dinner and overnight stay. Post breakfast drive straight to Tawang. It is one of the most beautiful places in Arunachal Pradesh and the birth place of 6th Dalai Lama. Stop midway to visit the some of the major tourist attractions placed well on the route from Dirang to Tawang. The places to visit include Jaswantgarh memorial, Sella Pass, Paradise Lake and waterfalls. Upon reaching Tawang, check-in at one of our listed hotels. After resting and relaxing for the entire day in the cozy comfort of your hotel room. Enjoy a sumptuous dinner and overnight stay at the hotel. Today the day is reserved to explore the beautiful tourist attractions of Tawang. The attractions scheduled for the day include the Tawang monastery. It is one of the largest and the oldest Buddhist monasteries in India. Later in the day drive to visit the Tawang War Memorial, Sela Pass, Jaswant Garh and the Bap Teng Kang. In the evening visit the Craft Center and Emporium where craftsmen weave cloth and artists make Monpas masks in the traditional way. Return to the hotel after the visit to enjoy a lavish dinner and a comfortable overnight stay. Early morning after breakfast drive to Bomdila. It will take about 7 hours to reach the place. It is a small town located in the West Kameng district of Arunachal Pradesh. As you reach Bomdila, get accommodated at one of our listed hotels. After taking some rest set off to enjoy a guided tour of Bomdila. The major attractions of the Bomdila include Bomdila Monastery, Sessa Orchid Sanctuary, Apple Orchards, Upper Gompa and the Lower Gompa. Later in the evening return to the hotel for dinner and overnight stay. Today depart to Nameri National Park after breakfast. Located on the North bank of Brahmaputra river and sharing its border with Assam this national park has recently been upgraded to a Tiger Reserve. On reaching Nameri National Park, check-in at one of our listed hotels. After resting for a while move to explore the park for its diverse wildlife and birds such as Wild Dogs, Sloth Beer, Himalayan Black Beer, Hispid Hare, Leopard and many more. Enjoy dinner and overnight stay at the hotel. 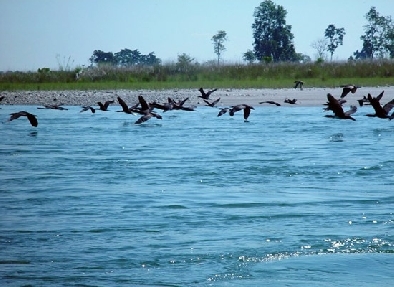 Today leave your beds early to enjoy natural trail to Nameri National Park situated across the river Jia-Bhorollei. Some of the most popular activities in the park include white water rafting and fishing. There are several spots that are ideal for angling in the park. But before all this one needs to take permission from the forest department. Later in the day return to the hotel for dinner and overnight stay. In the morning after breakfast depart to Jorhat by surface. On reaching Jorhat, check-in at one of our listed hotels. The major tourist attractions in the historic town and the tea capital of Assam include Garh Ali, Bangalpukhari Tank, Bilesvar temple and the Buridosain Devalay temple. In the evening move out to explore the Cinnamora Tea Estate, the first and the oldest tea garden in Assam. Retire for the night at the hotel. In the morning after breakfast, proceed to visit the tea estates of Jorhat. After exploring the tea estates, transfer to Jorhat airport to board a flight to Kolkata. On reaching Kolkata airport board a connecting flight for your onward destination.